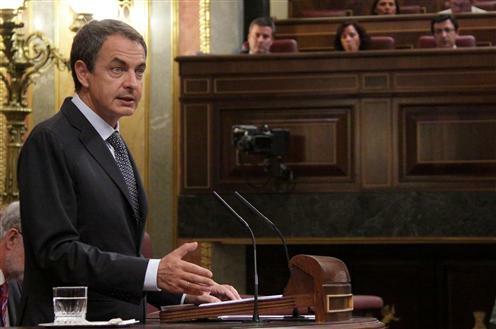 The outgoing Prime Minister, José Luís Rodríguez Zapatero has made his last appearance before the Senate today. Speaking to the nation’s upper legislative body this afternoon Zapatero conceded that he would like to have been able to reform the role of the Senate during his premiership, and lamented that he had been unable to do so. The spokesman for the Partido Popular in the Senate, Pío García-Escudero, dispensed with hostilities and instead paid tribute to the way Zapatero had comported himself before the Senate during his years as Prime Minister, and for his regular appearances to answer questions from the Senators. Zapatero, who has decided not to seek re-election, will make one final appearance before Congress before both chambers rise and the election campaign begins officially. As November’s General Election looms ever closer, the embattled ruling party, the PSOE, have taken a monumental lurch to the left this weekend in an attempt to sure up their base and capitalise on the wave of protests against austerity measures that have been taking place in Spain since the spring. 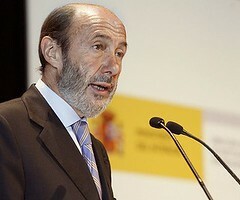 The Socialist’s presidential candidate, Alfredo Pérez Rubalcaba, has suggested re-imposing the so-called Spanish Wealth Tax (el Impuesto de Patrimonio), which his own Government abolished in 2008. This tax, which was raised on assets of Spanish residents and non-residents over the value of around €600,000, was first established in 1978 but soon became one of the few such taxes in Western Europe and was eventually abolished by Prime Minister José Luís Rodríguez Zapatero a few years ago. Now, however, Rubalcaba has decided that this tax should be brought back and that the rich should pay their share for getting Spain out of its economic crisis. “Isn’t it resonable that those with great wealth pay more?” he asked this weekend. The reason this has become such a political hot potato over the weekend is that Rubalcaba has seemingly pressurised the outgoing Prime Minister into reintroducing the tax before the general election, rather than making it a simple manifesto commitment of his own. The reason the Socialists have done this is obvious. It is a tempting and irresistible bear-trap for their political rivals, the Partido Popular. Ideologically of course, the conservative PP is against any direct tax on wealth, and would be inclined to repeal it at once should they win in November. However, if they do so the Socialists will be waiting to immediately label them as a party more concerned with protecting the rich than the poor, of being the party of the haves, rather than the have-nots. It is for this reason, incidentally, that the previous conservative Prime Minister, José María Aznar shied away from abolishing the tax even when the economy was booming. The trap is obvious. PP leader Mariano Rajoy has been quick to highlight the inadequacies of a tax system which would effectively hit people twice – once when they earn, twice when they save. Such a tax, he argues, is a deterrent to savers, entrepreneurs and ambition – all necessary if the economy is going to recover. Rubalcaba may think he is being clever, but the facts of the matter are that his own Government repealed this tax because it was ineffective and counter-productive. This desperate lurch to the left smacks of desperation, and highlights how vulnerable the Socialits feel they are ahead of November’s election.